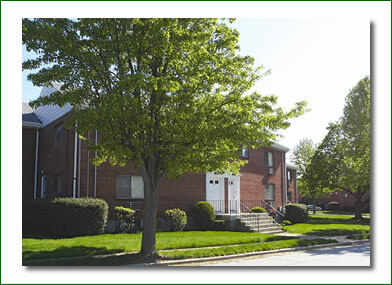 Charlesbank Garden Apartments is sited on the banks of a scenic tranquil Charles River view and open space for jogging and communing with nature. The property features attractive landscaping, off-street parking and much more. We lease one and two bedroom apartments. Conveniently located on Route 128 (I-95), America's technology highway, Waltham is just minutes away from the Mass Pike, Route 9 and Route 2. Whether your morning commute takes you east, west, north or south, let Charlesbank be the center of your compass. Downtown Boston is 15 minutes by car (slightly longer during peak traffic hours). Public transportation is nearby. The Brandeis-Roberts commuter rail station is a five-minute walk, while the Wellesley Farms commuter rail station and the Riverside MBTA station are five minutes by car. Waltham is the fine dining capital of the metro-west area. The region's finest shopping malls are a few miles away. And despite its proximity to Boston, Waltham is only minutes away from the rolling New England countryside, with farms and apple orchards. Historic Lexington and Concord are right next door. Charlesbank is proudly owned and operated by Louis J. Antico, who maintains a fully staffed office on the premises. His personal interest in tenant satisfaction is reflected in superb maintenance, attention to detail and of quality service.